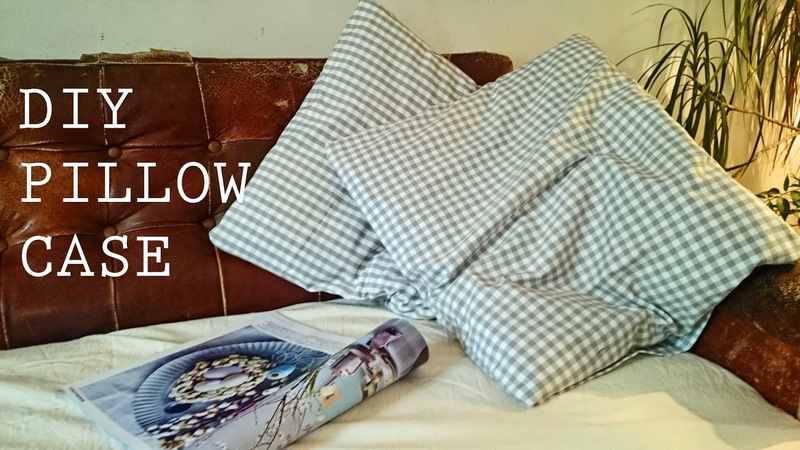 today I am showing you a simple 4 step pillow case tutorial. 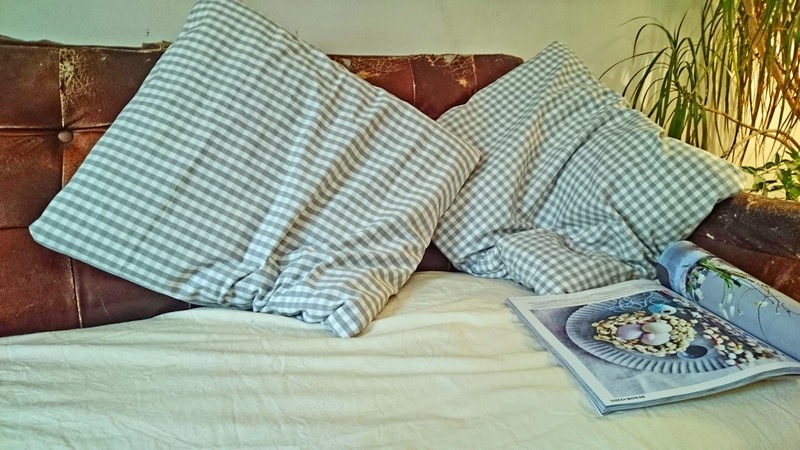 It's the same pattern like Ikea and many other furniture stores use for their pillow cases. We have that old leather couch in our living room and although I love the worn look of it, I wanted to add something new and fresh to the picture.Being an optimist I believe that spring is coming pretty soon, so it's time for a little redecoration! Mark a length of 125cm on your fabric and add about 1,5cm of seam allowance. For the cuff, mark a line on the right side, then cut out the rectangle. 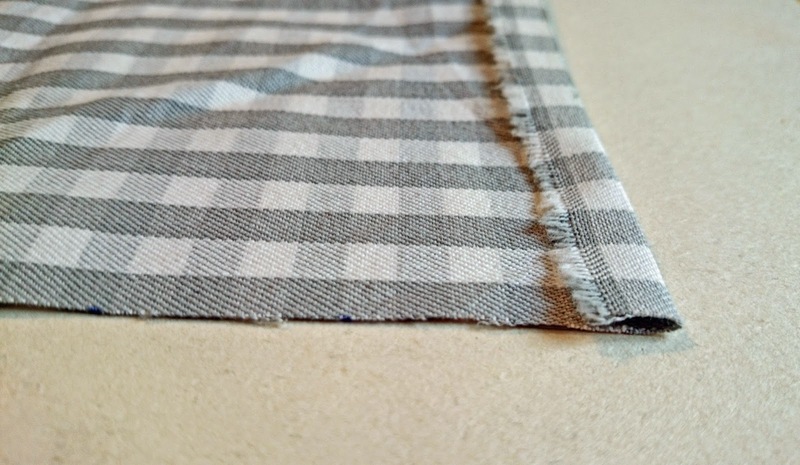 Fold and iron the narrow sides of the rectangle, then sew both with your sewing machine. Turn the fabric around and fold it to the mark of your cuff. Make sure that the seam of the narrow side is on top! Then fold the cuff to the left side and pin it down. Stitch along the sides, turn the case inside out and put your pillow in. Done! What a quick and easy way to bring a fresh breeze into your home. I'm defnitely going to make more of these!